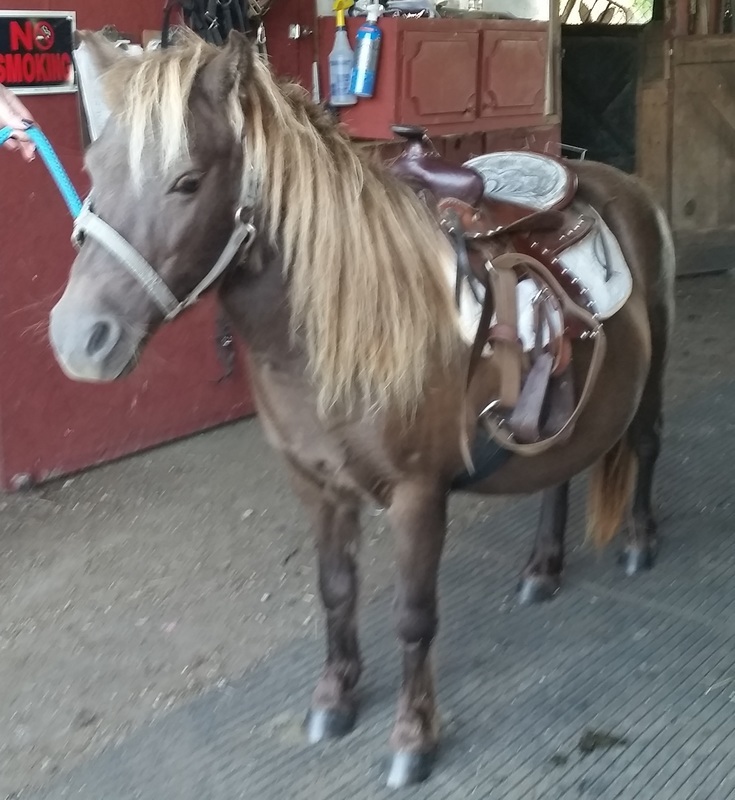 Misty-Registered “B” Miniature Horse. Foaled 08/03/1998. 37” tall and stocky. She is very sweet and kind. We have saddled her and ponied kids on her without incident. She still needs some work with her feet, although she is getting better. She came to us overweight and we are working on getting some of that weight off of her. She has been ground driven in harness. She has a filly by her side born June 3, 2015. She has a coggins, has been vaccinated and hooves trimmed. Adoption fee is $100.00. All applicants must complete an adoption application through Day Dreams Farm. Our #1 priority is getting our horses into the right forever home.